The Science Meets Nature Box. With 'green' and organic beauty, there is often the misconception that these products won't perform as well as their standard non-natural counterparts. This simply isn't true anymore. 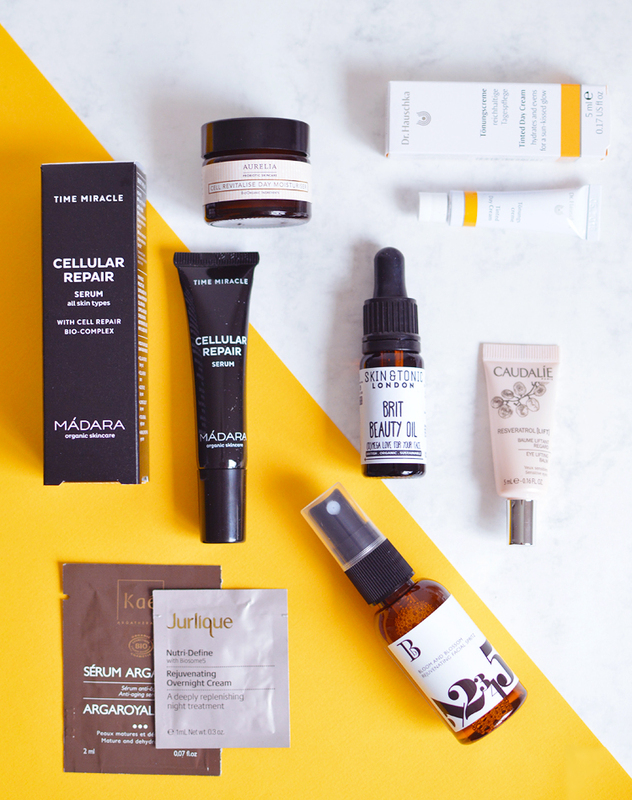 With new research, development and money going into this niche market, there are more high-end brands and complex formulas than ever before. 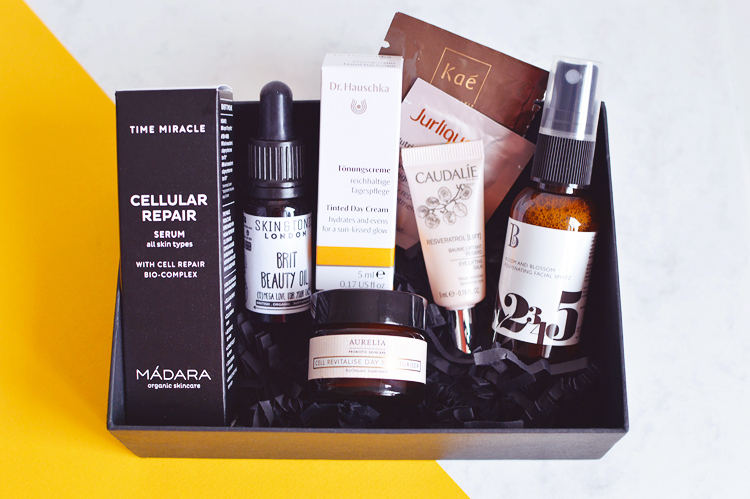 The latest Naturisimo box embodies this with its curated selection of 8 luxury products that make use of cutting edge technology for their all-natural ingredients. The box is worth £67 but costs just £13.95 - a great price to try some very expensive products. The Skin & Tonic Brit Beauty Oil sample costs £13 on its own if you were to buy it from the sample section! Madara Cellular Repair Serum, 15ml. Skin & Tonic Brit Beauty Oil, 10ml. Aurelia Cell Revitalise Day Moisturiser, 10ml. Dr. Hauschka Tinted Day Cream, 5ml. Caudalie Resveratrol Eye Lifting Balm, 5ml. Bloom & Blossom Rejuvenating Spritz, 40ml. Jurlique Nutri-Define Rejuvenating Overnight Cream, 1ml. I was most excited about finally getting to try Skin & Tonic! The Brit Beauty Oil is a blend of just 5 oils to hydrate and smooth. The oils (thistle, chia, borage) are ones that you don't commonly see in facial oils, so I feel like this is unique enough to have a place in my skincare collection. The Dr. Hauschka day cream is a cult product that I've always wanted to try and now I finally can, I hope it lives up to expectations as I've loved other products I've tried from the brand. I'm also going to save the very generously sized Aurelia moisturiser for winter when I will need that extra cushy layer of cream for drier skin. I know it's dreamy. Dont miss out and get the box here, it's a good'un!